Finally, a new post. Things have happened in the past few months and more of that later, but as well as the regular day job and writing and answering garden questions from various sources I am working on Sundays at Springmount Garden Centre at Ballycanew near Gorey (see talks). These various activities remind me of strange ideas that people have about gardening and plants so, if things go as planned, I will feature one of these every Monday and try to explore how these myths have arisen. A few weeks ago I was near the till when someone was buying a spider plant (chlorophytum) and another customer commented that spider plants kill other plants! This was a new one on me! I could not imagine how a spider plant could kill other plants or how the idea could have arisen. Now we have all heard of companion planting and how plants help other plants to grow. Personally I am not at all convinced of this since plants tend to be driven to survive and have adapted various ways to out-compete other plants for light or water or food – there is little evolutionary advantage on helping other species grow – quite the reverse. Plants often produce root exudates that control or repel pathogens and, possibly, other plants. In the home it makes sense to put plants near each other so that humidity is increased locally which should benefit all the plants, but because the plants do not have root contact the effect they can have on each other is limited. 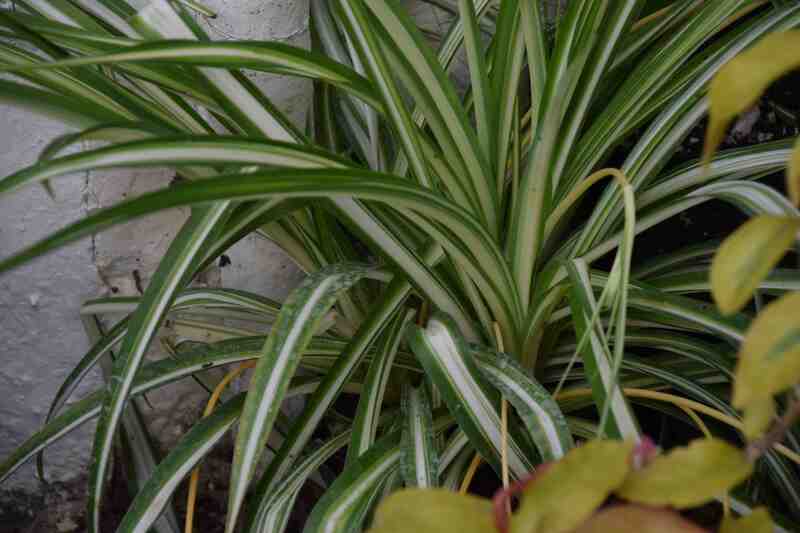 But back to the murderous spider plant – what makes such an innocuous-looking plant into a killer? I think this is all about cause and effect and the fact that spider plants are so common, especially in offices and other adverse environments. If a plane crashes into a mountain and the rescue party takes six months to arrive and finds a single survivor it is possible that that person killed and ate all the other passengers but it is hardly conclusive. I suspect that the plant-killing spider plant is innocent too. It is just that it is a survivor. In the hands of less than the green-fingered gardener, more delicate plants just can’t survive the rigors of poor light, irregular watering and lack of feeding. They slowly die and the spider plant is all that is left, trailing its stems down the side of the filing cabinet, watered with coffee dregs and doing its best to make our lives more beautiful with no ill intention whatsoever! Indeed – sometimes the undemanding and familiar is just what we need! And thank you! Well-maybe it is a thug…I kept one in our greenhouse last winter(for a friend)and somehow a bit ended up in a large dendrobium orchid.And has thrived.We did not notice it till it bloomed.The orchid needed repotting this fall anyway,but I will have a job teasing them apart! The good thing is that the spider plant will probably survive even if you have to cut most of its roots off to remove it from the orchid. This post doesn’t quite say that – it questions the ‘reputation’ and dismisses it!